The Chase Freedom Unlimited credit card is one of the absolute most effective tools for earning Chase Ultimate Rewards points. It’s an essential card for most folks trying to achieve the Chase Trifecta and become a points earning powerhouse. Particularly when you pair it with cards like the Ink Business Preferred℠ Credit Card, Chase Sapphire Preferred® Card, or Chase Sapphire Reserve®. The Chase Freedom Unlimited usually comes with a sign-up bonus of $150 after meeting minimum spending requirements. But now, you can find a deal that’s much better! 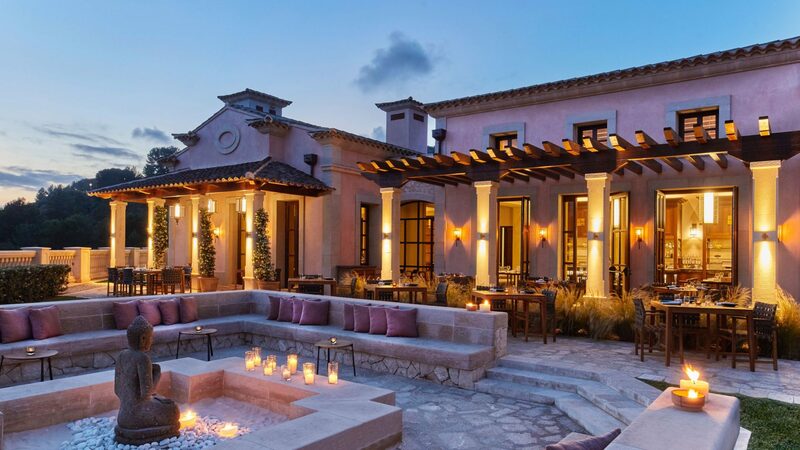 This Increased Chase Freedom Unlimited Sign-Up Bonus Is Worth Enough for a Free Night at the 5-Star Park Hyatt Mallorca. I’ll Show You How! The Chase Freedom Unlimited is a no annual fee card that earns 1.5 Chase Ultimate Rewards points (1.5% back) on all purchases. So it’s great to use if you’re making a purchase that won’t earn bonus points from another card. You can earn a $200 sign-up bonus when you open the Chase Freedom Unlimited through this link and spend $500 on purchases within the first 3 months of account opening. Who would say no to an easy $200?? Note: When you click the link for the Chase Freedom Unlimited offer you might have the older $150 bonus appear on the landing page. If that happens refresh the page a few times and the $200 offer should pop-up, it worked that way for team member Jason. But it’s possible this increased offer is targeted, so you might not be able to get it to show up. But it gets better. If you have either the Chase Sapphire Preferred, Chase Sapphire Reserve, or Ink Business Preferred, you can turn that $200 in to 20,000 Chase Ultimate Rewards points. Just transfer the bonus to one of those cards, and you’ll then have the ability to purchase travel through the Chase Portal for 1.25 cents per point (or 1.5 cents per point with the Sapphire Reserve). That means the $200 bonus you earned is now worth $250 to $300 toward travel! Or, you can transfer your points to airline and hotel partners to save even more. For example, you could transfer your 20,000 Chase Ultimate Rewards points to Hyatt for a free night at a 5-star hotel, like the Park Hyatt Mallorca in Spain, which can cost ~$700 per night during the busy season! Note: If you’ve opened 5+ cards from ANY bank in the past 24 months (not including Chase small business cards and certain other small business cards), you won’t be eligible for this card. Also, if you’ve earned a sign-up bonus from the Chase Freedom Unlimited in the past 24 months (or you currently have the card) you are ineligible for it. Don’t miss the next miles & points deal – subscribe to our newsletter and have them delivered to you daily. I clicked link, and 150 came up, refreshed, and got $225 offer… with a caveat. $150 after spending $500 in first 3 months. +$75 more if you spend $5000 in first 12 months. Came up as 15k. Used an anonymous browser window and 20k came right up.